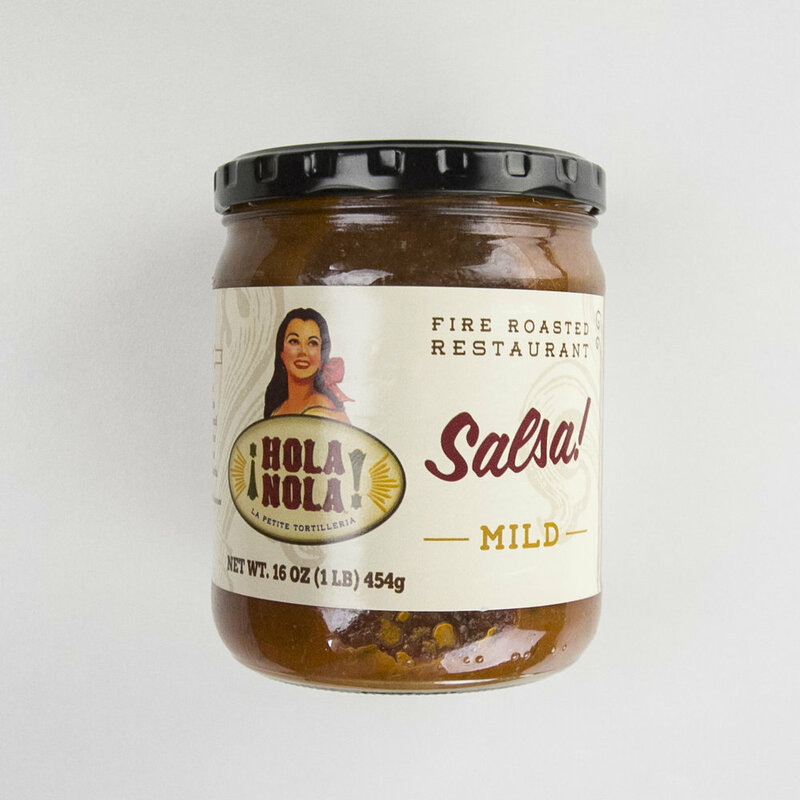 Our Hola Nola salsa is an old family recipe. You will find it is rich, flavorful and perfect for dipping our chips in or topping your favorite foods. Ingredients: Diced Tomatoes, (Tomatoes, Tomato Juice, Citric Acid, and Calcium Chloride), Onion, Cilantro, Water, Lime Juice, Salt, Canola Oil, Dehydrated Onion, Granulated Garlic, Vinegar, Arbol Chile Pepper.